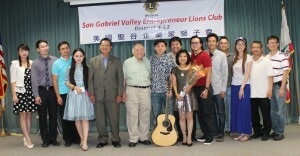 Cici Lau, a longtime resident of Monterey Park and gifted performer, welcomed everyone to her performed in the Service Club on August 30th. 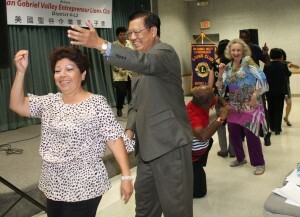 Members of the San Gabriel Valley Entrepreneur Lions Club supported her show. 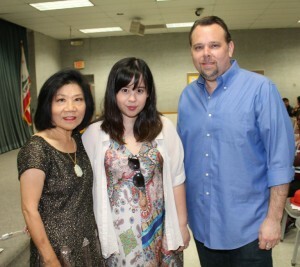 Cici Lau introduced Elaine Xia, Film Maker and Director of “Metamorphosis” and Producer Brandon Davis to the audience. Mr. Davis introduced the ten-minute film as an intense drama that was submitted to the Film Festival. Ms. Xia shot the movie in five days. She found a location in Los Angeles that reminded her of Hong Kong. This horror movie staring Cici Lau caused the guests to shiver and shake in their seats. She won an award for her performance at the Film Festival. Some of the audience stated this movie was the same quality as an Alfred Hitchcock or Quentin Tarantino horror movie. Vic Miyahira was the Master of Ceremonies. He introduced each performer to the guests. 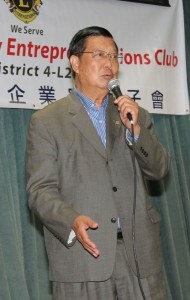 David Lau, former mayor of the city and talented singer, introduced Councilmember Hans Liang and City Clerk Vince Chang to the audience. He sang “God Bless America” and several old favorites during the evening. Cici Lau sang “I Will Follow Him” as Kathy Wills and Simon Kingsley danced to the beat. She also sang “La Bamba” as Emma Lemus and David Lau joined other dancers on the floor. Liana Zhao and JianWei Tang performed a skit in Mandarin about a father-in-law’s first meeting with his blue-eyed blond daughter-in-law. 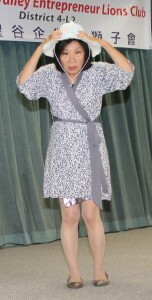 The comedy translated into English as the audience became involved in the event. 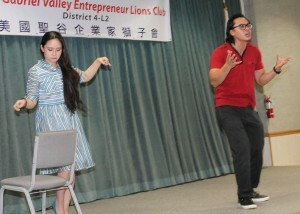 Wilson Wong and Liana Zhao performed “Key Exchange” an adult skit about a married couple on the verge of a divorce. 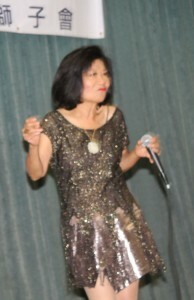 Joyce Fu, a member of the club, asked for donations for the club for this free performance. She also spoke about a future high school competition to be held in December. Rico Sam sang a popular Chinese song to the delight of the guests. Cici Lau did a monolog about a “Crazy Woman” who was an inventor and buyer before she became homeless. Vic Miyahira sang “Brick House” that brought the dancers to the floor and performed a monolog called “Maddie’s Dad “about a father trying to stay involved in his daughter’s life. 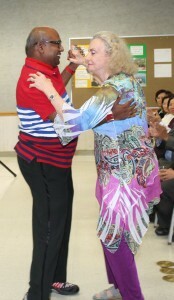 Yvonne Shuie, a member of the club, requested the audience join their Lions Club that supports humanitarian causes. 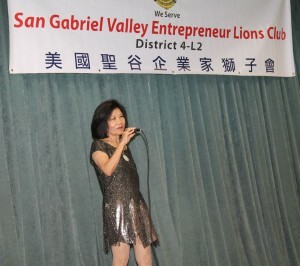 Cici Lau thanked all of the Lions for their support. 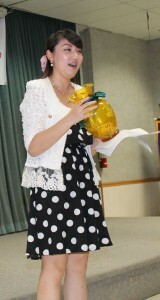 She also thanked the volunteers and sponsors for this successful event. Andrew Mandapat and Koji Wada performed a scene from “True West” about two brothers trying to write a movie. 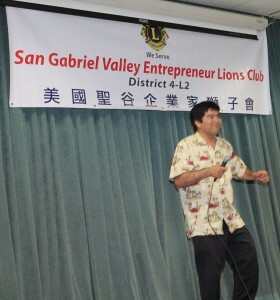 Allen Chan sang a Cantonese song to the enjoyment of the guests. 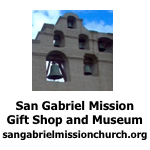 Howard Fong performed a monolog about the “San Francisco Earthquake” viewed from Oakland. 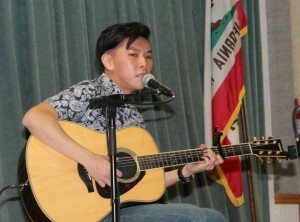 Jimmy Chau, a member of Star Factory Band, played several tunes and sang for the guests. David Lau thanked the audience for enjoying this show with them. The performers received many rounds of applause as they had their final curtain call.